a token of her sacrifice to the community. Homas should be performed along with abhishekam to Goddess Vasavi with milk, curds, ghee, honey, sugar, tender cocoanut water and dry dates with other fruits has to be performed with devotion. Later this has to be distributed to all devotees as Theertham and Prasadam. Afterwards priests/devotees carries the Kalasam/Utsava Vigraham followed by the devotees, chanting Jai Sri Vasavi or some other songs of Sri Vasavi with Music, if possible. Please allow our children to read the story of Vasavi Matha to all devotees and explain the importance of her core principles. We request all chapters to observe Vasavi Atmarpana day with service to the local community where we reside and promote Vasavi Matha’s sacrifice among the community and her message ‘Duty, Integrity, and Peace’. Please plan to arrange a service activity in your community as a token of our service to recognize Vasavi Matha’s Sacrifice. This event should include promoting service activity by our youth/children and also educate our children of Vasavi Matha’s story and importance of service. Please plan on any of the below activities or you can come up with your own activity. Service Visit to foodbank, Arranging food/clothing/blankets to homeless, Soup Kitchen, Serving in shelters, raise funds for any NRIVA service activities like Adopt A Student, Mangala Suthram etc..
We express our deep appreciation to all the Community, on the eve of Vasavi ATMARPANA Day. 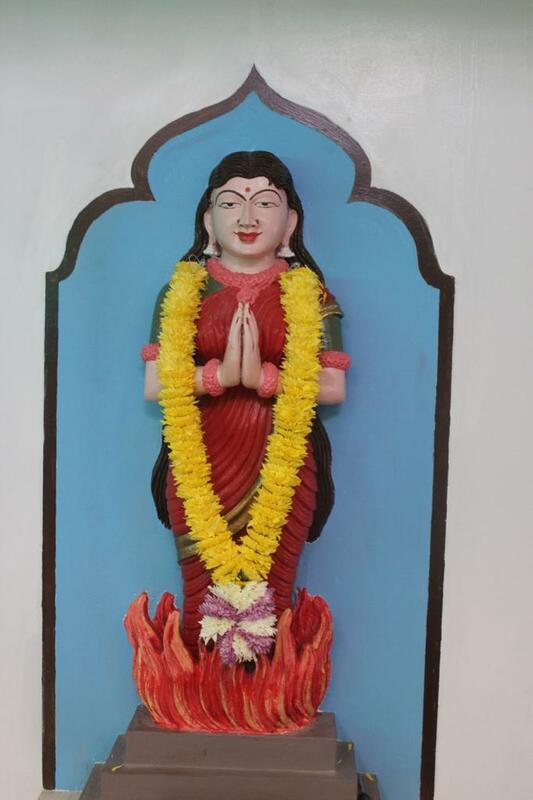 May Goddess Vasavi shower on you all with health, wealth and prosperity.